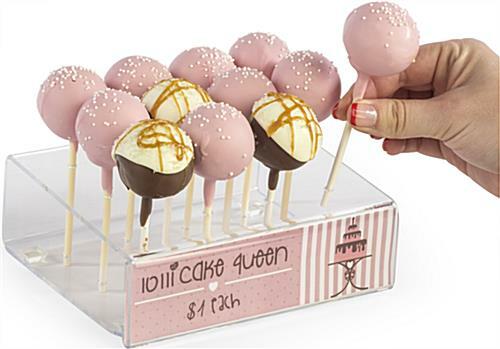 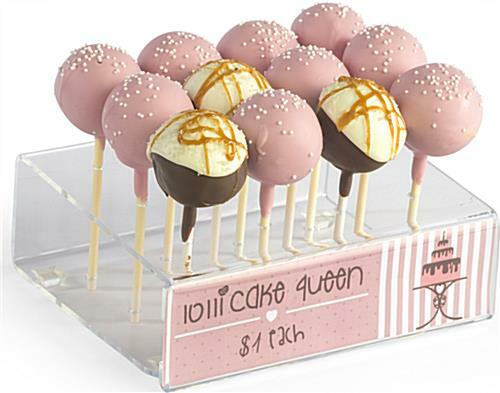 These cake pop holders are made of clear plastic and feature (12) holes for displaying and dispensing food items like lollipops and free samples. 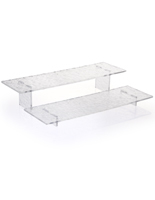 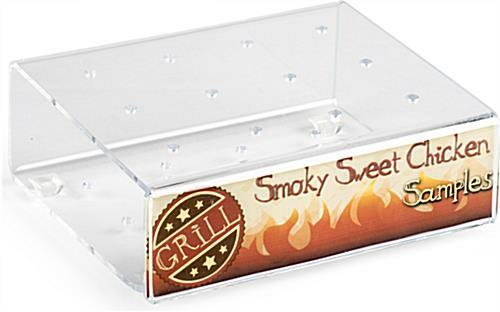 The cupcake displays also include a sign header slot that measures 6.5"x1.75". 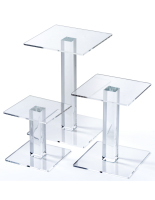 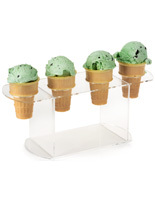 The pop holders allow businesses to advertise themselves or display pricing information. 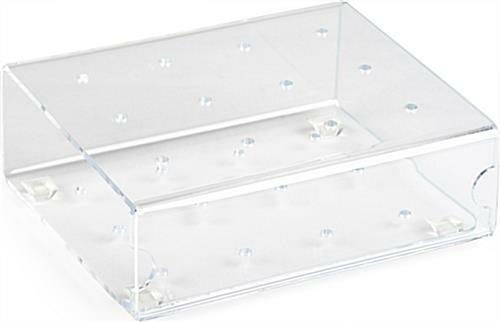 The plastic fixtures are great for any storeowner because they create a unique, convenient merchandiser that fills a much-needed role. 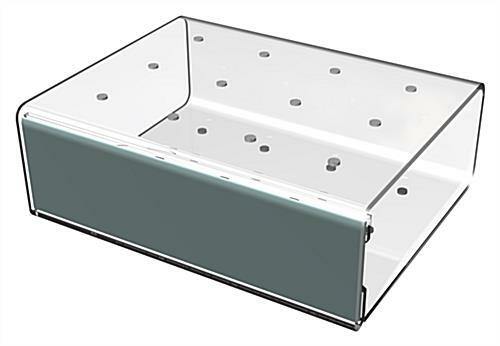 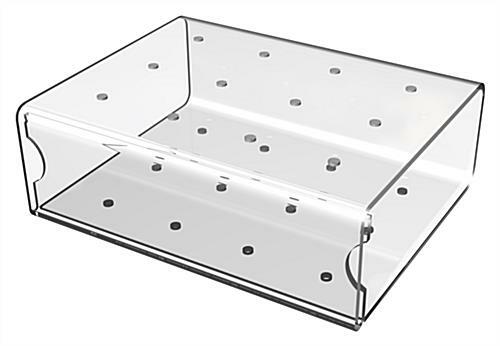 The holders for food-on-a-stick feature holes that measure .186" wide and have a 2" gap between the top and bottom. 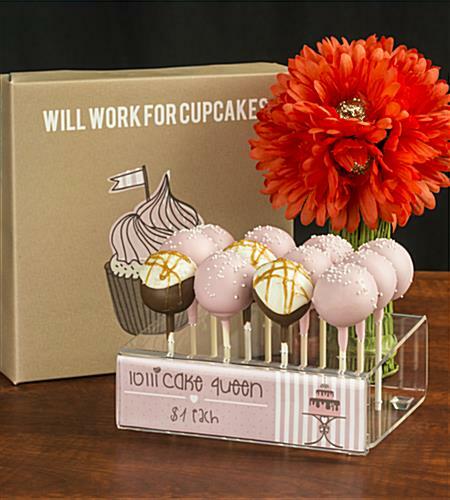 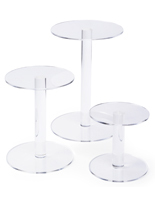 The cupcake displays with a sign feature a neutral clear finish for use in any environment. 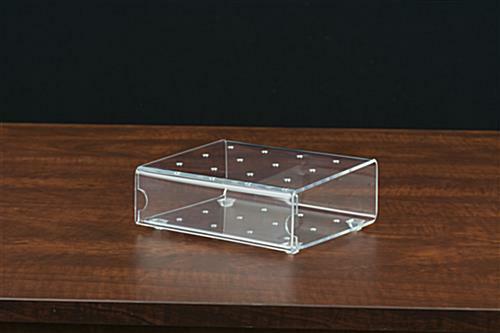 8.3" x 2.5" x 5.5"